Seventy years ago this month, on Monday 6 August 1945, the nuclear bomb known as ‘Little Boy’ was dropped on Hiroshima by an American B-29 bomber, immediately killing an estimated 80,000 people. Three days later a second bomb, the equally appallingly nick-named ‘Fat Man’, was dropped on Nagasaki, killing between 60-70,000 people. On 15 August Japan surrendered, marking the end of the Second World War. It has been argued that President Truman’s decision to drop the A-bombs on these two Japanese cities saved more lives than were lost by ending the war so much earlier than any alternative course of action. As usual the truth is more complex. Truman’s primary objectives were certainly American lives and the earliest possible end to the war, but other pertinent considerations included impressing the Soviets as the Cold War approached, the lasting need to respond to Pearl Harbour, and the pressure to justify the development costs of the atomic project. In this war, sides of very different motivations and experiences all committed atrocities and suffered from traumatising war crimes. I don't seek to suggest equivalence. Nevertheless, it is still difficult understand the detonation of two separate Atomic bombs on the same country within a few days. I visited Japan for the first time this Easter. It was cherry blossom season and the flowers were spectacular, frothing white and pink against bright blue skies. I was traveling around by bullet train and bicycle, visiting shrines and temples, stroking deer, feeding carp, and watching robots hop and skip in Tokyo. I also spent a day in Hiroshima, a vibrant city rebuilt after its almost total destruction in 1945. Modern Hiroshima has its fair share of cherry trees, but the official flower of the city is the Oleander, as this was the first plant to bloom again after 1945. I was shown around the city by a local guide called Keiko. We started at the Peace Park that had opened in 1955. Here Keiko pointed out the new ground level, resulting from the vast amount of imported earth brought in to cover contaminated land. We visited the Genbaku Dome, the skeletal remains of the most central building left standing by the bomb which has been preserved as a memorial, as well as the eternal flame, and the peace pagoda erected in 1966. Keiko had married into a family from Hiroshima. Her husband’s mother was a young woman living less than two kilometers from the epicentre of the detonation in 1945. Of their large family only she, and a few others who were also away from home that August morning, survived. Keiko's husband was not born until a few years later but Keiko told me that, although rarely talking about it, he still carries the weight of these devastating events on his shoulders. 'As do all the city’s post-war generations', she added. While other cities like Tokyo and Osaka had been severely bombed during the war, Hiroshima, where several Japanese armies were based, had not been targeted. Anticipating an eventual attack, that August the city authorities had mobilised school-children aged between eleven and fourteen to demolish certain houses to create fire-breaks, with the aim of limiting potential damage from firestorms. Many were helping with this work on the morning that the A-bomb fell, putting them close to the centre of the impact. Amongst other relics, such as melted road girders and roof tiles, the absolutely heart-wrenching Hiroshima Peace Museum displays possessions from some of these children including unopened lunch-boxes, scorched school books and several school blouses that had been beautifully hand-stitched by girls in classes just weeks earlier. In case these seem romantic, there are also some appalling human relics, kept by traumatised relatives who had nothing else. Thousands of other people left no evidence of their lives, abilities or personalities at all. The museum also holds a display of many of the origami cranes made by Sadako Sasaki, a Japanese girl who was just two years old when she was exposed to radiation from the A-bomb further out in the suburbs of Hiroshima. 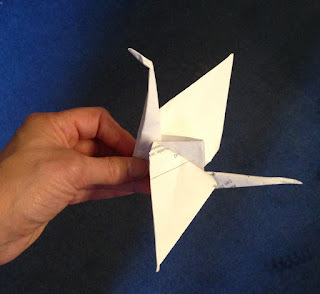 Having developed leukaemia some years later, Sasaki began folding paper cranes in the hope that when she had made a thousand she might be granted a wish, as in Japanese legend. Too weak to continue, Sasaki died in 1955. Such devastatingly personal effects and relics are deeply telling, but nothing can convey the enormity of the loss. Six thousand Hiroshima school-children were killed when the atomic bomb was dropped. Many more died later from their injuries. By the end of the year the death toll is estimated to have been between 90,000-166,000, possibly more than half of the city’s entire population. Cancer and other resulting conditions claimed many more lives, such as that of twelve year old Sasaki. Around 70% of Hiroshima’s buildings were also destroyed. Nagasaki suffered a similar level of destruction. Hiroshima was proclaimed a City of Peace by the Japanese parliament in 1949. It has since hosted a series of conferences on peace, developed a dedicated Peace Institute within its university, and established the international ‘Mayors for Peace’ organization, calling for the abolition and elimination of all nuclear weapons by 2020. This may be an unrealistic goal but it serves as a guide to steer disarmament. When one thinks of mothers, their skin hanging off, running towards the suburbs of Hiroshima clutching their dead children to their chests, it seems impossible to conceive of ever using such a weapon again. The American decision to bomb Hiroshima and Nagasaki resonates in other ways today as well. From a historian's perspective, earlier this year the USA took the decision to digitise the records generated by their Atomic Bomb Casualty Commission, to make them readily available to researchers internationally. The ABCC was the US body established in 1947 to carry out a medical assessment of the effect of radiation on survivors from the bombs at Hiroshima and Nagasaki. The documents show that many of the US commission’s doctors were deeply affected by what they witnessed, although, as The Japan Times noted while I was visiting Hiroshima, many of the A-bomb survivors later criticised the commission for treating them like research guinea-pigs. Pity, without empathy or respect, is of little value. Preserved images in this collection include many taken to show the ‘atomic bomb radiation effects on the human body’, with some of the survivors photographed holding nameplates. Clearly issues around confidentiality and sensitivity must be paramount, and the full history behind the commission, as well as its findings, needs to be addressed. Keiko nevertheless believes that the stories that stem from Hiroshima need to reach the widest possible audience. She told me that she feels deeply moved when showing visitors around her city and she hopes that, in this way, she can play a small part in helping to spread Hiroshima’s messages both of peace, and of the ‘evil of Atomic weapons’, around the world. I thought of Keiko as Hiroshima and Nagasaki fell silent for the seventieth anniversary this August, each city remembering the moment when tens of thousands of their citizens were killed. 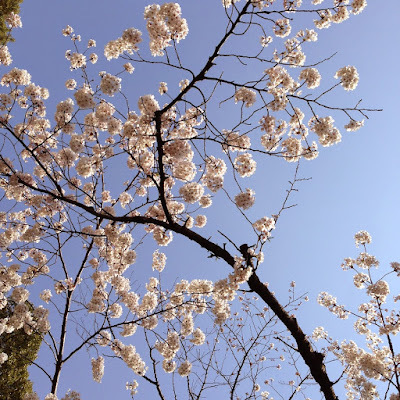 After doves were released and Buddhist bells tolled, vows were taken to redouble civic efforts to halt nuclear proliferation in a world where incidents, accidents, and the threat of nuclear terrorism is ever growing. Since then, countries including Japan and the USA, Britain, India, Australia, China and Russia have negotiated a controversial new deal to limit Iran's nuclear programme, while providing relief from previous sanctions and permitting the country to continue its atomic programme 'for peaceful purposes'. As I left Hiroshima, Keiko gave me a white origami orizuru, or paper crane, which she had folded as we walked around the peace park. There are many important war anniversaries this year, but among them we must remember the destruction of Hiroshima and Nagasaki, and the message of peace with which Hiroshima has heroically chosen to reply to the world. Pity alone is not enough. No doubt that Hiroshima is a beautiful city.It is one of the best places to travel.No one can ever forget the destruction of Hiroshima and Nagasaki. What would my subjects make of their biographies?